Phiten Racing 7 1/2" Micro Titanium Spheres Bracelet Yamaha NEW FREE SHIPPING!!! 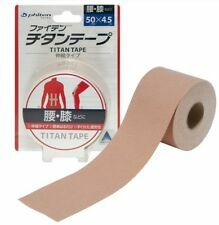 Titan Tape Rollen sind ideal zum Anbringen auf bewegliche Körperpartien wie Rücken, Knie und Schulter. Auch sehr gut geeignet für Kreuzverbände z.B. bei Fußgelenken. Sehr gutes Klebe- und Dehnverhalten – damit optimal für Kinesio Taping geeignet. Sie sind wasserfest, luft- und schweißdurchlässig. Besonders geeignet für die punktuelle Anwendung. Tape nicht über offene Wunden kleben. ärztlichen Rat ein. 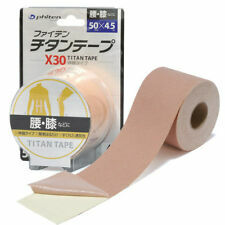 Inhalt: 50 Titan Tape X30 Punkte. AQUA TITAN X30. 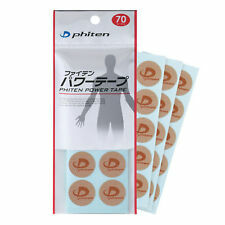 Phiten Titan Tape Punkte enthalten karbonisiertes Titan aus der AQUA TITAN Technologie, sind wasserfest, luft- und schweißdurchlässig. Besonders geeignet für die punktuelle Anwendung. Tape nicht über offene Wunden kleben. Still in box, Titan Silica Health Device by Phiten. (Great gift!). Magnet can enhance the body immunity. Far infrared ray can improve the body immunity. Improve blood circulation and immunity. Negative ion output 10,000 ions/cc Far Infrared Ray Output 98% Reflect heat Magnetic output 3000 Gauss Germanium. Made of 100% Pure Titanium. Incredibly, they are also flexible because of its laser-cut engineered construction. Beautiful and comfortable, rugged and elegant. Q Ray bracelets are wellness bracelets designed to optimize your natural positive energy. Harmless Cigarette Does Not contain any harmful substances / It is 100% Non-electric / No batteries & No charging required / Harmless Cigarette can simulate the feeling of holding and puffing on a cigarette. Generation of Neodymium rare-earth magnets. They are very strong. in comparison to their mass, and are made from sintered neodymium. The use of magnets as therapeutic devices is not new. 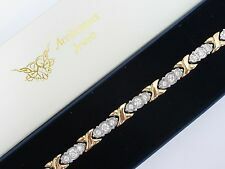 Beautiful ladies Titanium magnetic bracelet. Neodymium-iron-boron (NdFeB) magnets are the second generation of Neodymium rare-earth magnets. They are very strong in comparison to their mass, and are made from sintered neodymium, iron and small amounts of boron. The superiority of Titanium Grade 7 possesses excellent weld-ability and is the most resistant to corrosion of all titanium alloys. Palladium is a direct congener to Platinum, in chemistry, congeners are related chemical substances "related to each other by origin, structure, and function". 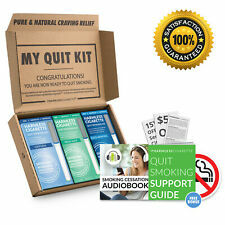 What health conditions can be helped?. generation of Neodymium rare-earth magnets. They are very strong. in comparison to their mass, and are made from sintered neodymium. 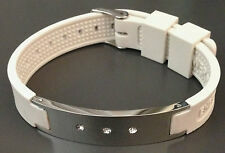 Beautiful ladies Titanium magnetic bracelet. It has an outer band covering 7.5% Titanium and 7.5% Copper Content. "The Titanium Power Tape X30 Discs contain a higher concentration of Aqua-Titanium® compared to the standard Titanium Power Tape Discs. The discs are easy to apply and are an essential item in your gym bag or purse. What health conditions can be helped?. generation of Neodymium rare-earth magnets. They are very strong. in comparison to their mass, and are made from sintered neodymium. The use of magnets as therapeutic devices is not new. What health conditions can be helped?. Silver & Rose Gold 2 tone. generation of Neodymium rare-earth magnets. They are very strong. in comparison to their mass, and are made from sintered neodymium. Pure Energy Cyclone is the world's first sport necklace to combine both titanium and germanium in combination with 4 embedded holograms. The necklace features two separate rubbed based infused strands. PHITEN CLASSIC TITANIUM NECKLACE. MADE IN JAPAN. The New Pinnacle Triad Titanium Necklace can be worn around your neck, wrist or ankle. Available in many team colors. Feel the power the triple strength Triad Titanium Triple necklace will give you. 20" Surgical Grade Titanium Necklace. RED, WHITE, BLUE, BLACK OR PINK. productive Mind, Body and Spirit. balance and well being. TPE is designed to help everyone! From the professional athletes to the person seeking a more. phiten necklace. Condition is Used. Shipped with USPS First Class Package. phiten tornado necklace. Condition is Used. Shipped with USPS First Class Package. The titanium bracelet will fit you perfectly! 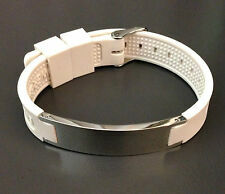 You can also benefit from the pain relief that a magnetic bracelet can bring. It is also safe to wear in water or while showering. May aid in relieve of Tendonitis and Arthritis. May help relieve Muscle and Joint Pain. We would love to be given the opportunity to work with you to resolve any problem you may have. Optimal für komplexe Gelenkbereiche (z.B. Finger). Ideal für akute Anwendungen. Es ist das am höchsten dosierte Phiten Tape und eignet sich besonders für akute Anwendungen. Es kann in Phasen starker bzw.